Today IPH has total film making unit with technical as well as Creative back up. This unit has produced more than 30 products so far. Catalogue is available at IPH stall. 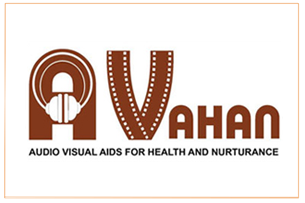 AVAHAN organizes biannual Mantarang Mental Health film festival and also organizes regular film screenings at Manatarang Film Club (with no charges other than your interest in the field). AVAHAN in Marathi means to Beckon. Was specifically started to beckon people to learn and become aware. Better documentation of the process of all the activities that IPH performs. Disseminate information about the activities in places outside our catchments area so as to possibly bring about similar attitudinal changes in those areas regarding mental health. Currently Avahan is undertaking production of CDs to cater to specific needs of people as well. Sale of CDs is one of the ways by which IPH is financing some of the other activities.